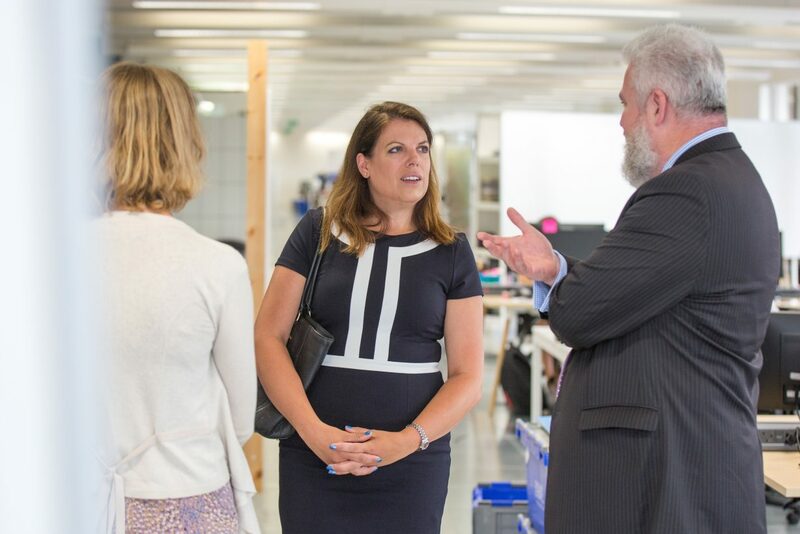 There was a bit of a buzz at GDS on Tuesday as we welcomed our new minister Caroline Nokes to the new home of GDS in Whitechapel. This was an early chance for the minister to get a deeper understanding of how GDS is supporting the delivery of digital transformation in government and to take a look around our new offices. The minister was keen to make the most of the opportunity to talk to staff and learn more about some of the projects that the GDS teams are working on. 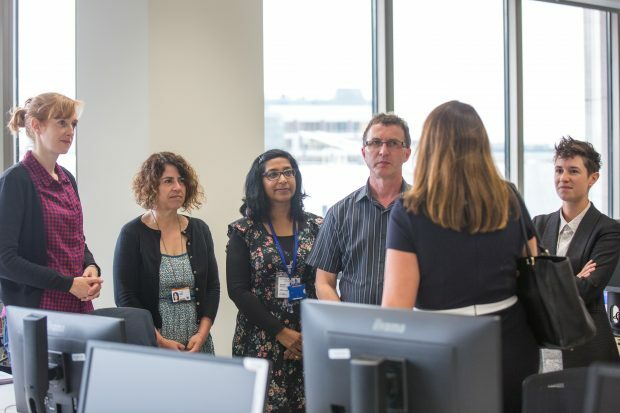 Guided by GDS Director General Kevin Cunnington, the minister was introduced to members of staff and spoke with them about the programmes that they are involved in. Holly Ellis, Director of Capability for the Digital, Data and Technology Profession spoke to the minister about GDS’s work helping to building digital, data and technology capability across government, including the GDS Academy flagship nationwide skills programme. The minister also met the Service and Design Assurance team, headed by Nic Harrison. Louise Downe, Deputy Director for Service Design and Standards, spoke about the work that GDS is doing to make sure that services are accessible to everyone. Milan Bogunovic, Service Owner for the Digital Marketplace, introduced the minister to the ways in which Digital Marketplace is reducing the barriers for small businesses to sell to government. And the work being done on model contracts in partnership with Crown Commercial Service to increase transparency and stamp out corruption. Next on the agenda was an introduction to the Better Use of Data team. Sue Bateman explained how GDS is supporting government colleagues to make better decisions by giving them the skills they need to commission and interpret data science and performance analytics. After meeting with the GDS senior management team, the minister met with GDS Head of User Research John Waterworth. He spoke with her about user research practices across government, and the importance of building and supporting the growing community of user researchers in departments and agencies. "The UK government is one of the most digitally advanced in the world, and I am excited to be playing a part in driving forward development in this area.